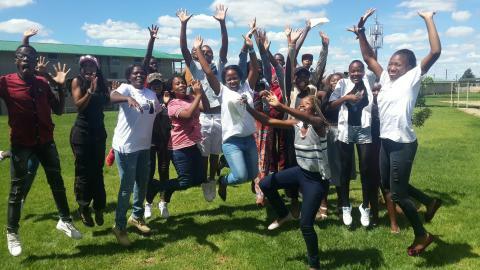 On Saturday the 21st of January, the Nyanga branch hosted a Matric Orientation Day for all 2017 Matric Parents and Learners. The purpose of this event was to welcome the Matric Class of 2017 and to orientate both parents and learners about how the Matric year looks for an Ikamvanite. The programme for the day started with a Parent Information Session: This session included a discussion of the 2016 Matric Challenges; an introduction to the mentoring programme and important milestones such as tertiary applications and NBT’s (National Benchmark Tests). 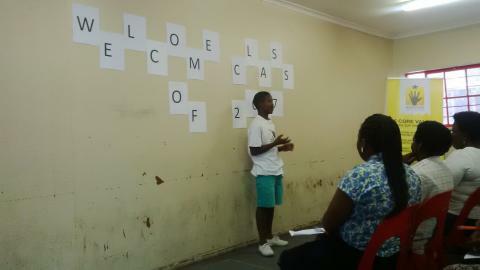 The 2017 Matric Calendar was also shared and explained to the parents and learners. The parents were given a copy of the calendar to take home and use as a reference during the course of the year. 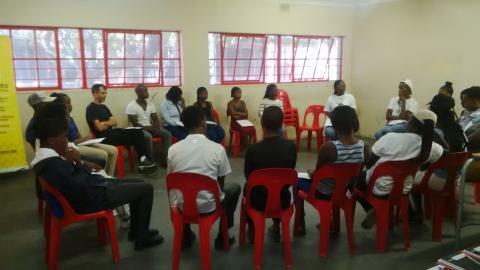 After the Parent Information Session, the branch introduced its motivational speaker for the day: Kamvalethu Willie. Kamvalethu Willie is an Ikamvanite from the Matric Class of 2016. He shared his journey with IY and how the programme has benefited him. Kamvalethu also shared that he is the first person in his family to pass Matric and the first to go to University. 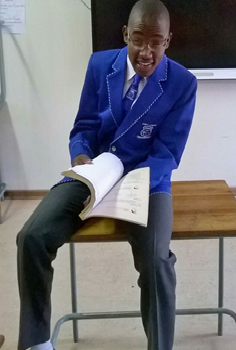 He has been accepted at UCT (University of Cape Town) to study B.Comm Financial Accounting with a full bursary. He advised the Class of 2017 to stay focused and to set clear goals for the future. He also shared a vision board he used in 2016 to keep himself motivated and to not lose sight of his goals. Kamvalethu’s speech left some parents with tears in their eyes. Kamvalethu plans to return to the branch as a volunteer in 2017. The Nyanga branch wishes him all the best in his studies. Head Tutor in 2016, Sihle Sosanti, also addressed the Matric parents and learners. She addressed the parents and learners from the perspective of a tutor at the branch; outlining what is required from learners in their matric year. She also stressed the importance of parental support at home for learners. She completed her address by requesting that parents, tutors, branch staff and learners work together in order to make this year a success. The session with the parents was then closed and the learners stayed behind for a meeting with the branch staff and tutors. The aim of this meeting was to discuss the tutoring schedule for Matric learners and to find out the needs of the learners, such as extra resources or extended tutoring hours. The learners were shy at first, but they gradually started to voice their opinions. The meeting was the beginning of paving a way forward for 2017. We are grateful to all those who attended this first event for the Nyanga Branch in 2017! We look forward to many more successful events. 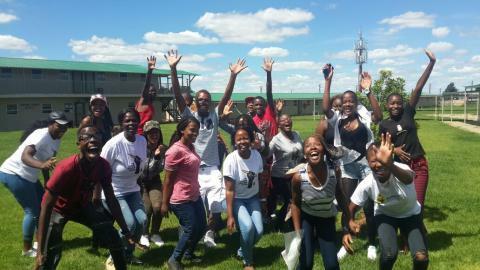 Seven tutoring programmes achieved remarkable collective impact in the recent matric exams, achieving a 92% pass rate. 97 matric learners from organisations participating in the Community Collaboration Programme (CCP) wrote their exams last year, and 84 learners achieved either bachelor or diploma passes; ensuring their eligibility for tertiary studies. Maobi’s message to the new class of 2017 is to ‘Start early and work hard. I remember quite well that I was told this, but I didn’t listen. So really guys, start early, work with past papers, listen attentively in class, and get help from wherever you can…but don’t forget to have a little fun as well.’’ The world is now Maobi’s oyster! Wherever he ends up, he promises to continue to pay forward the help he received by tutoring younger grades to achieve similarly inspiring results. It is especially encouraging to see new collaborating partners achieving incredible success. 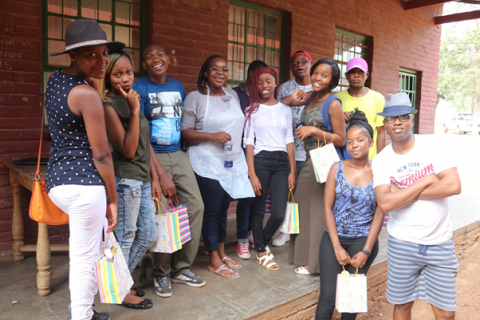 My Career Corner (MCC), an organisation based in Mabopane, Gauteng helped 11 grade 12 learners to pass matric; six of whom achieved bachelor passes. One of the main feeder schools that MCC is working with achieved a pass rate of 58%. Boipelo, from My Career Corner, also recognised that ‘it is rare to see this level of commitment from learners, especially from the community and context in which they live. Generally, young people don’t value education and that is why I have been so impressed with this group’s level of dedication – that was number one for me. I am very proud of them.’ We need more people like Cheryl and Boipelo, who are stepping up to support learners and can now enjoy the amazing feeling that comes with seeing learners turn that support into tangible, life-changing achievement. CCP’s primary funder and capacity building partner, The Learning Trust, are ‘immensely proud to be associated with the CCP initiative and the sterling outcomes produced in 2016.’ It is thanks to the funders, and to the tireless efforts of the staff, tutors, mentors, and partners, that these learners, unlike many of their peers, could access the additional support needed to succeed. Congratulations to the class of 2016 – your determination is inspiring! 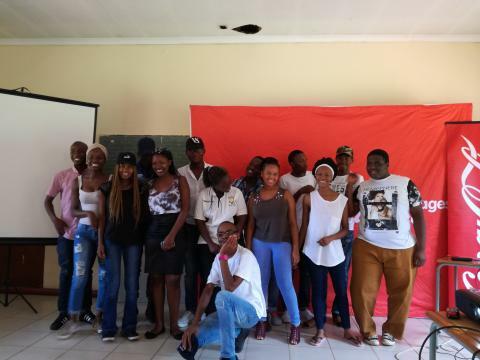 In collaboration with The Learning Trust, IkamvaYouth established the CCP in 2014. The programme provides training, support and space for peer-to-peer learning to social entrepreneurs running tutoring programmes. The seven organisations who had grade 12 learners in 2016 were; Sozo, SALT, Just Grace, Tarenteraaland, My Career Corner, Kliptown Youth Program, and Boys and Girls Club of South Africa. In 2017 IkamvaYouth is working with 12 partner organisations across Gauteng and Western Cape, listed on the website. IkamvaYouth is a non-profit organisation, enabling disadvantaged youth to pull themselves and each other out of poverty through education. The organisation provides free after-school tutoring, career guidance, mentoring, computer literacy training and extra-curricular engagement to learners in grades 8-12. The organisation is currently operating 16 branches in townships across five South African provinces. To find out more, go to www.ikamvayouth.org or call Zoe Mann on 074 476 7965. The Learning Trust (TLT) is a thriving South African non-profit organisation which supports individual, emerging organisations and education clusters over a five year period. TLT increases and improves learning opportunities for young South Africans growing up in conditions of poverty and exclusion. It does this by funding and building the capacity of outstanding grassroots education initiatives, the education clusters they develop and by championing the co-ordination of the After School sector in South Africa. TLT works alongside local partners to strengthen governance and improve quality and impact, taking young, community-based organisations that demonstrate significant potential towards self-reliance. 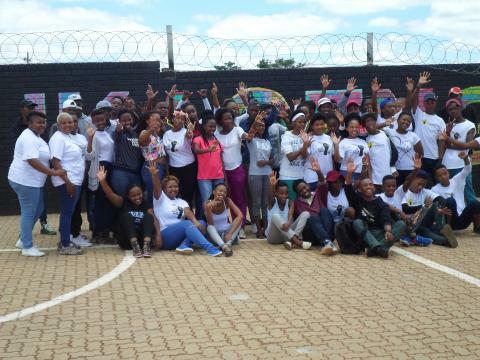 285 learners enrolled in IkamvaYouth’s after-school tutoring programmes in ten branches across five provinces have achieved an 85% pass rate; 69% of which are either Bachelor or Diploma passes, ensuring their eligibility for tertiary studies. In South Africa, a major predictor of academic performance is the location of one’s school. When comparing results between leafy suburbs and tin-roofed townships, it appears that we have two different education systems operating in parallel. For most learners in township and rural schools, even reaching matric is a feat; only 58% of the grade 2s from 2006 made it to write matric last year, and so, as Nic Spaull explains, the actual pass mark for the matric cohort of 2016 is an abysmal 42%. Unfortunately, the quality of one’s matric pass has a major bearing on the kinds of post-school opportunities one can access, and thus heavily influences an individual’s potential earning capacity.This is good news for the Ikamvanites who have managed to defy their context, and have leveraged the power of peer-to-peer learning and support to achieve great academic results. They’ve made an important step up the path towards earning a dignified living, and the organisation looks forward to reporting on the Class of 2016’s placements in a few months’ time. Vuyolwethu Zumani is a member of the Joza branch in the Eastern Cape. He achieved a Bachelor pass with 5 distinctions (in Maths, Physical Sciences, Life Sciences, Geography and Life Orientation). IkamvaYouth is proud to report that he is one of the top achieving learners in the district! 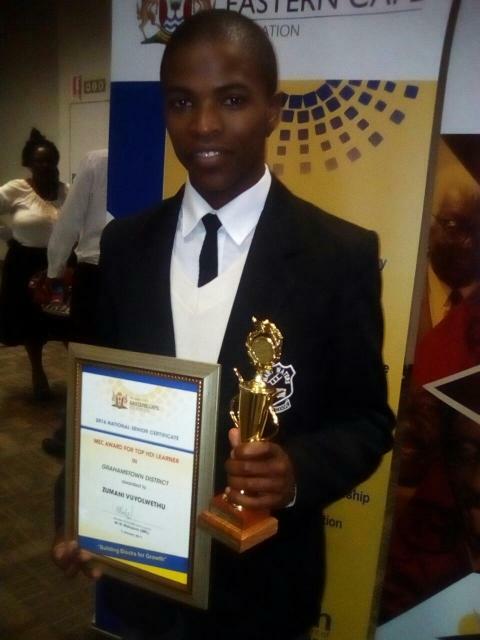 Vuyolwethu cleared hurdles including a shortage of teachers at his school and financial instability at home, and has been accepted to study towards a BSc, majoring in Maths and Statistics at the university currently known as Rhodes this year. Vuyolethu Zumani was awarded for being the top learner in the district. The Ikamvanites are tutored and mentored by volunteers, who come from a wide range of backgrounds and experiences. Most of the tutors are university students, and many are ex-learners from the programme, who pay-forward the help they received by supporting younger learners. Many of the volunteer mentors are professionals who assist grade 12 learners to figure out their post-school options, and assist with their applications. 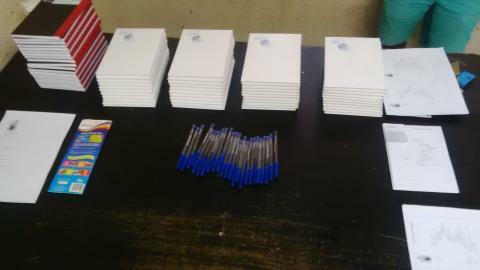 We look forward to welcoming members of the class of 2016 as volunteers. We are particularly proud of those learners who will be studying to become teachers. Thabisile Mfeka, a top achiever from the Umlazi branch, achieved a Bachelor pass and plans to pass on her love of education and learning by studying a B(Ed) and teaching Maths, Science and English to learners in grades seven to nine. These great achievements are the result of years of hard work and strong collaborative partnerships. IkamvaYouth enrolls learners in grades 8 to 11, and works closely with the feeder schools, many other NGOs and CBOs, tertiary institutions, municipalities, Government departments, corporates and foundations. 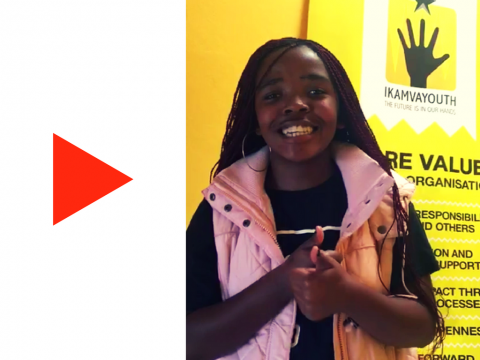 “We are so proud of our learners and tutors, as well as the team behind them, and thank our donors for their ongoing support that enables results like these, year after year,” says Leigh Meinert, chairperson at IkamvaYouth. The organisation’s work is made possible thanks to generous support from many donors; most of which provide multi-year funding. 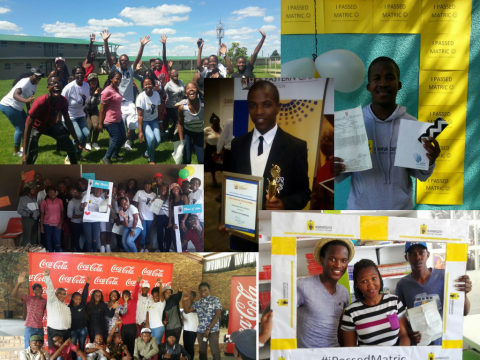 Supporters of the Class of 2016 include Coca-Cola Beverages South Africa (CCBSA), the Omidyar Network,The ELMA Foundation, the Montpelier Foundation, Capitec Foundation, Cargill International,EMpower and The Learning Trust amongst many others.